Great accessory for any pirate themed costume or event! Whether ye be hero or pirate, this cutlass will bring out your inner swashbuckler. Flexible, silver plastic blade has rounded edges for safety. 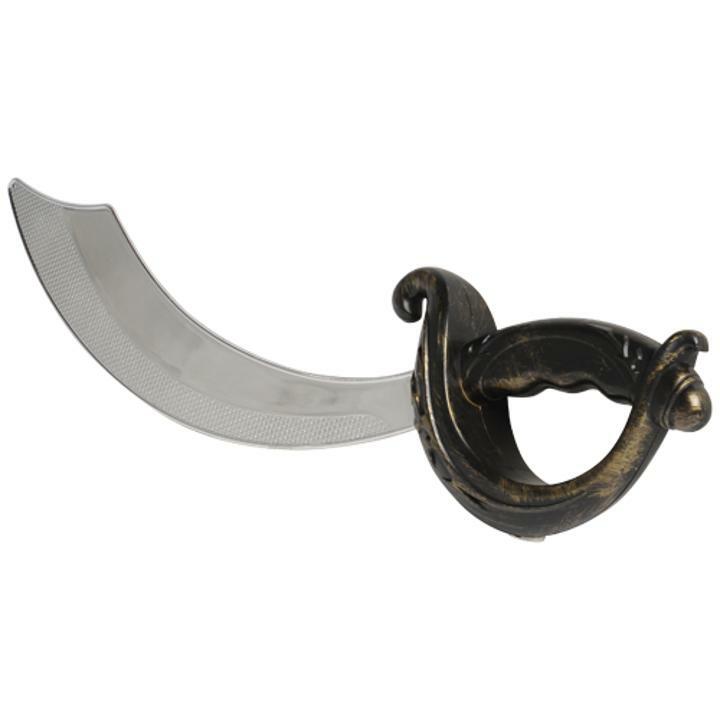 Lightweight with an easy to grip antique-finished handle, this sword is a great costume prop or pirate party decoration. L: 4.7 in. W: 18.95 in. H: 1.9 in.